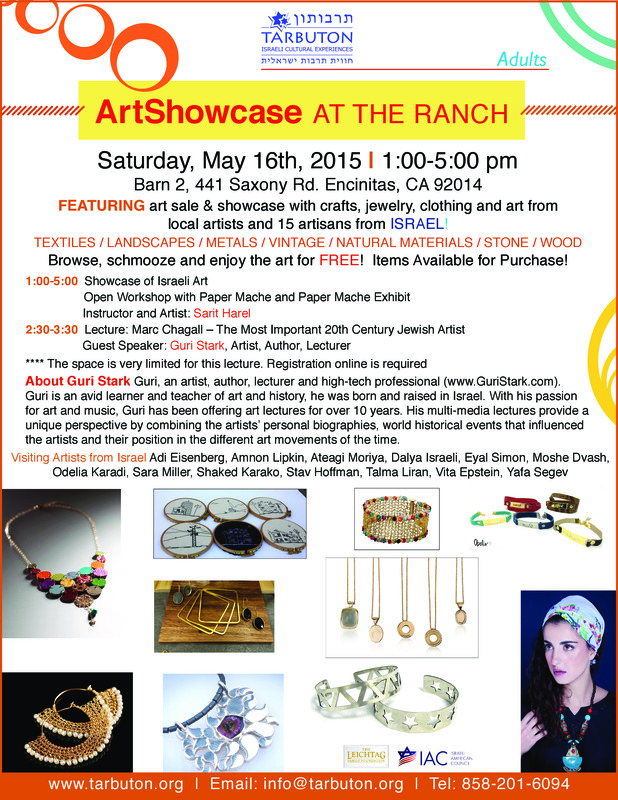 FEATURING art sale & showcase with crafts, jewelry, clothing and art from local artists and 15 artisans from ISRAEL! Browse, schmooze and enjoy the art for FREE! Items Available for Purchase! 2:30-3:30 Marc Chagall – The Most Important 20th Century Jewish Artist. Guest Speaker: Guri Stark, Artist, Author, Lecturer. Info@tarbuton.org for more information. Visit www.tarbuton.org for more details.